NEW! 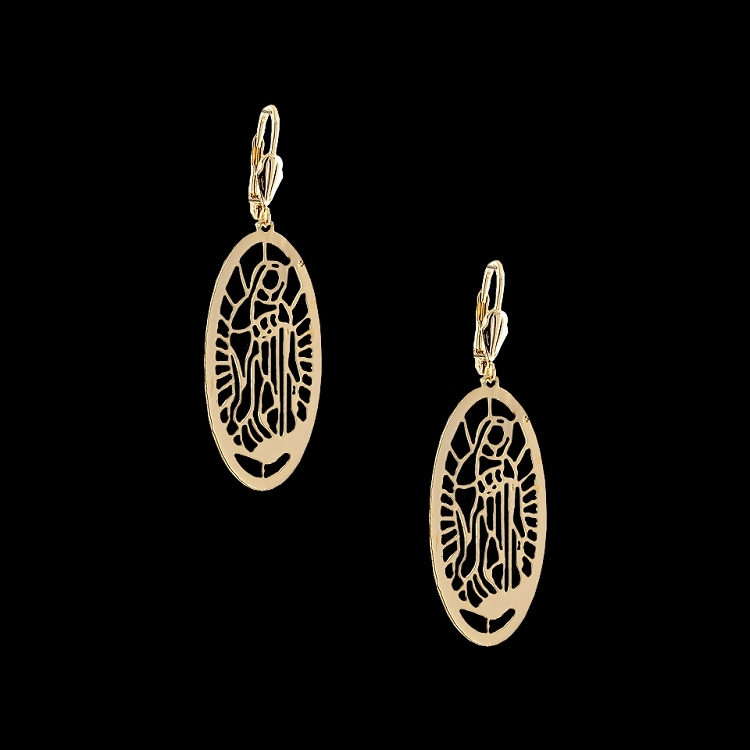 18Kt Gold Layered Fashion Earrings - Pictured on this earring is Our Lady of Guadalupe (Nuestra Señora de Guadalupe), also known as the Virgin of Guadalupe (Virgen de Guadalupe) - intimately hand crafted and coated with 18Kt layers of gold. These earrings come in four sizes, small (about 25 cm length), medium (about 35 cm length), large (about 40 cm length) and x-large (about 50 cm length). The clasps used in this earring is French Clasp / Lever Back Earring wires - for ease of use and elegance! A must have religious jewelry fashion item. Also checkout the matching Guadalupe Bangle Bracelet! !